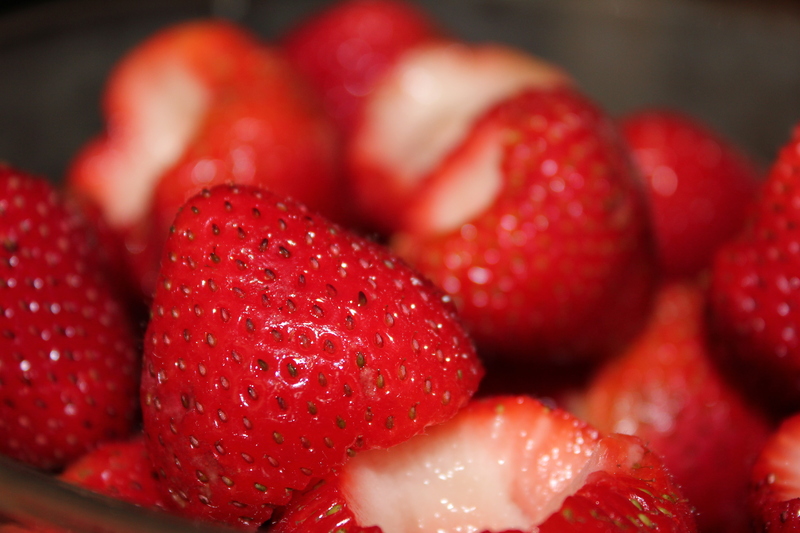 It is strawberry season and 4th of July weekend…two of my favorite times! Madalyn and I have been eating lots and lots of strawberries! 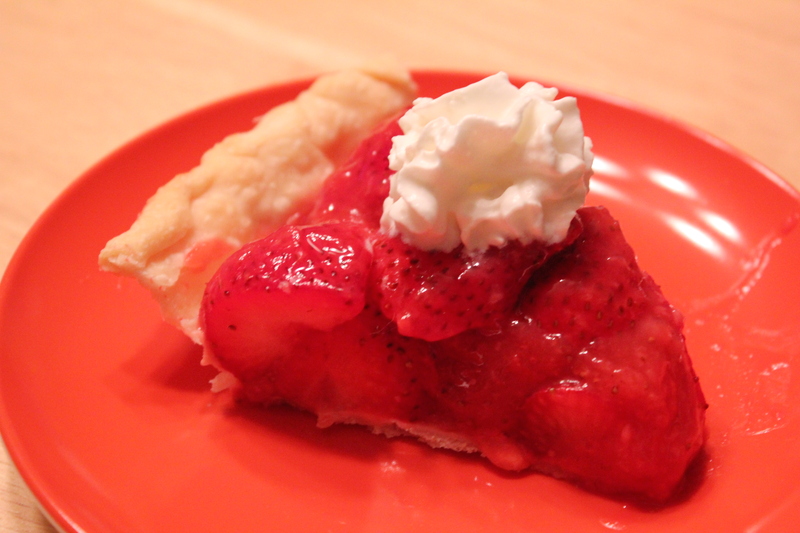 I wanted to make a strawberry pie and turned to the Brown Eyed Baker (www.browneyedbaker.com) for a recipe. I was not disappointed! This pie turned out so well and tasted so fresh! My adapted recipe is below but you can find the original recipe and here. I chose to forgo the homemade pie crust because I was pressed for time which is the main difference between her recipe and the one below! Select six ounces of misshapen, under ripe, or otherwise unattractive berries, halving those that are large (about 1½ cups). 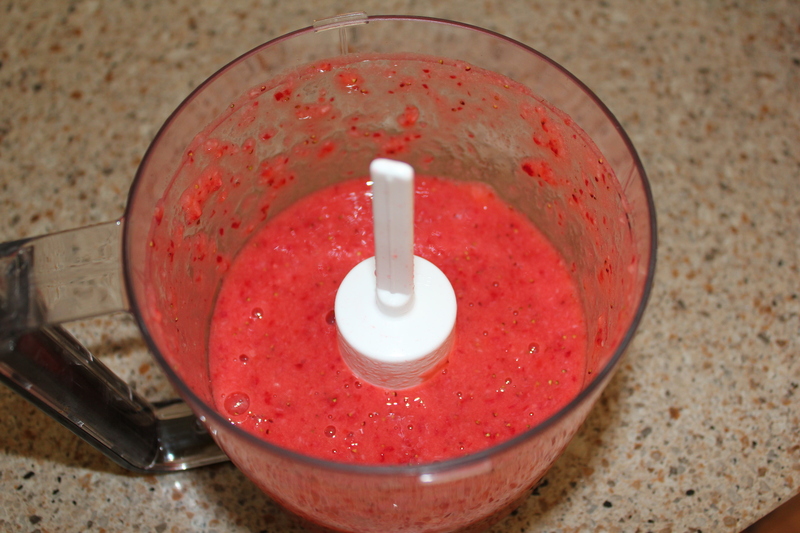 In a food processor, process the berries to a smooth puree, about 20 to 30 seconds, scraping down the bowl as needed. 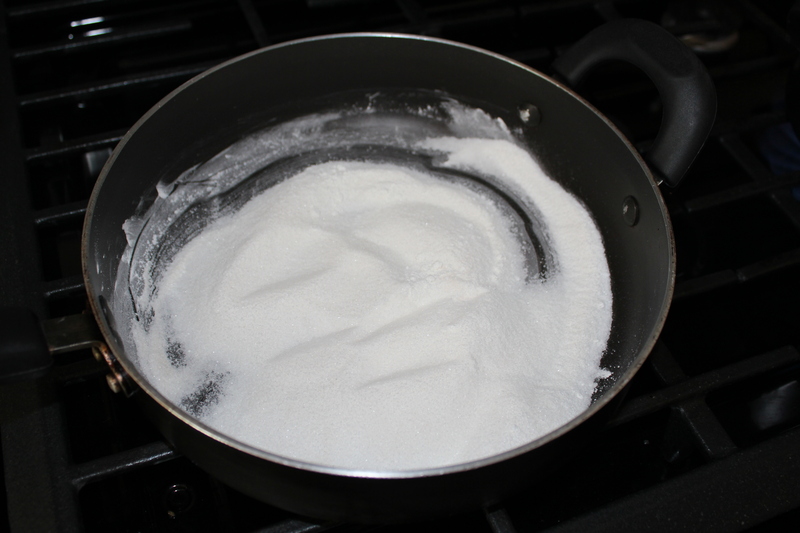 Whisk the sugar, cornstarch, Sure-Jell, and salt in a medium saucepan. 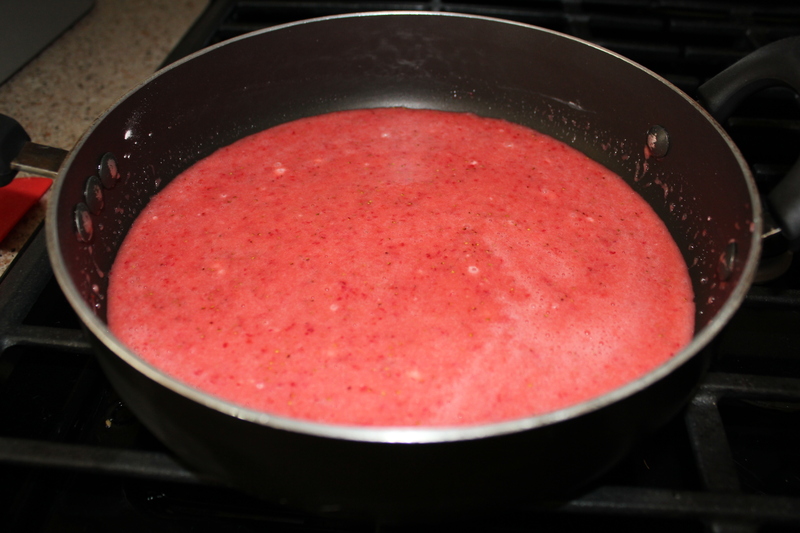 Stir in the berry puree, making sure to scrape the corners of the pan. Cook over medium-high heat, stirring constantly with a heat-proof rubber spatula, and bring to a full boil. Boil, scraping the bottom and sides of the pan to prevent scorching, for two minutes to make sure that the cornstarch is fully cooked (mixture will appear frothy when it first reaches a boil, then will darken and thicken with further cooking). Transfer to a large bowl and stir in lemon juice. Let mixture cool to room temperature. Pick over the remaining berries and measure out two pounds of the most attractive ones (halve only extra-large berries). 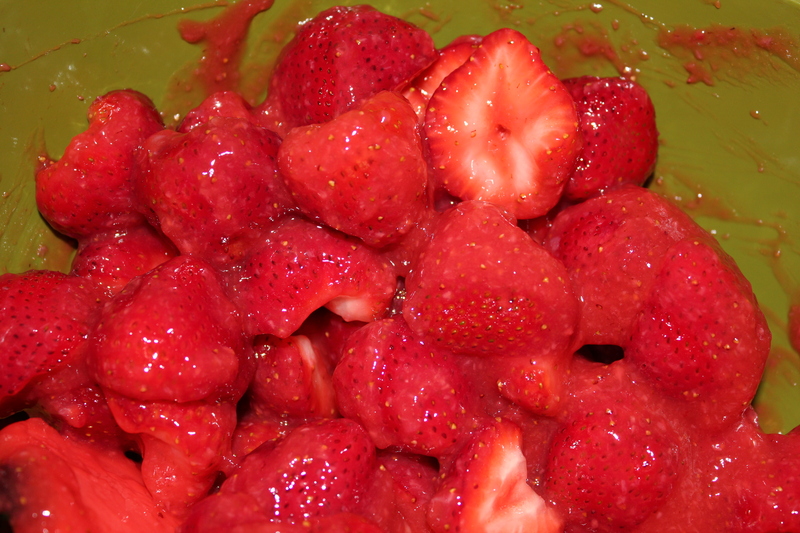 Add the berries to the bowl with the glaze and fold gently with a rubber spatula until the berries are evenly coated. 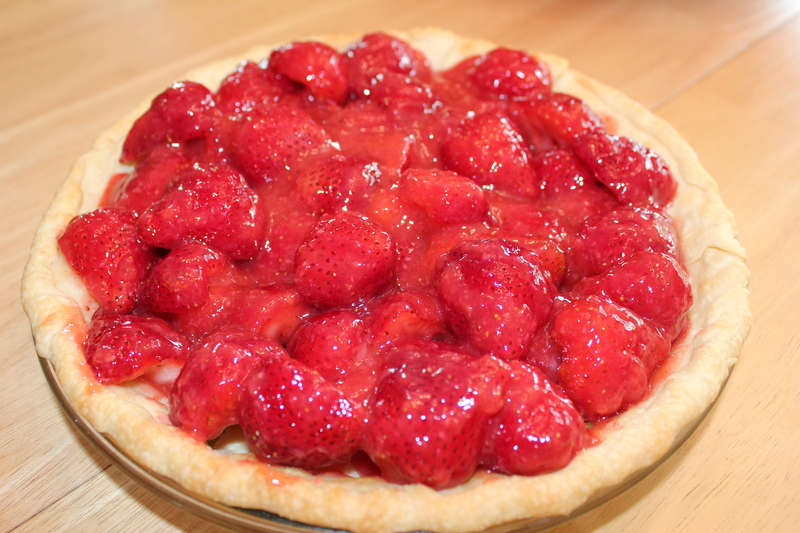 Scoop the berries into the pie shell, piling into a mound. If any cut sides face up on top, turn them face down. 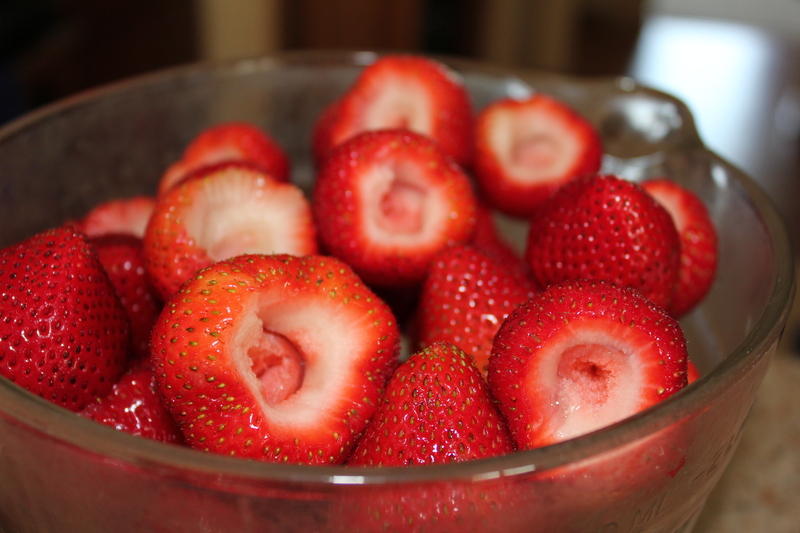 If necessary, rearrange the berries so that holes are filled and the mound looks attractive. Refrigerate pie until chilled, about 2 hours. Serve within 5 hours of chilling. I was able to share this with my mom for her birthday, and I think she will agree that this pie was dee-lish-ious! It won’t last long in our house! If you are looking for something summer-y and fun to make for your 4th celebrations, give this recipe a try!